These wooden stairs were totally designed and fabricated by Green Builders GRP. 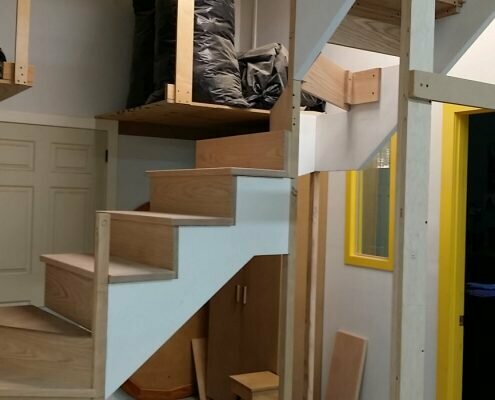 Our customer wanted to link two floors of her apartment in most convenient way. 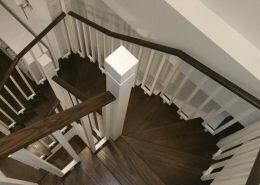 The stairs were fabricated from solid red oak wood at our shop. This project was really unique. 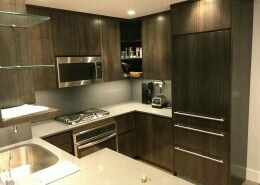 It was an engineering job to find out the safe solution and stable light construction in this tinny space. 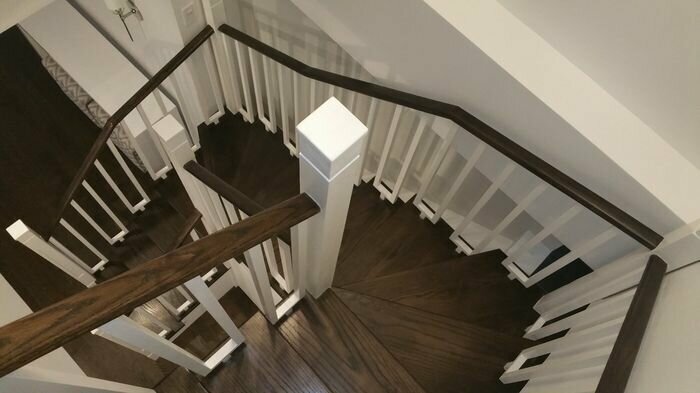 It was not an easy task for us but we managed to build these custom wooden stairs and install them. 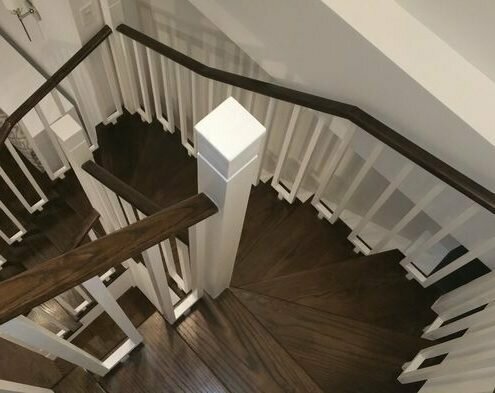 The stairs were designed by us. We had a few meetings with customer to understand her needs as well as the limitation of building construction. 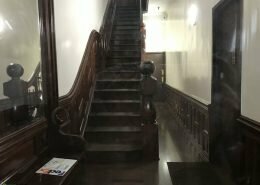 The problem was that the stairs were placed close to the doors to the hall. This seemed to be a simple job but it was very time consuming because of the tiny space we have to build-in these stairs. Finally we did it and you can see great results. All elements had to be perfectly and manually produced. All hand-made. Overall result is great and comfortable. We operate in Greater New York area - mainly: New York city, Queens, Brooklyn, Long Island and others.